Jess and Gran have always made the best of everything. When there's not much for dinner, they cook oodles of noodles. When there's no cake for birthdays, they toast marshmallows on the stove. When it snows in the mountains, Jess longs to go. But there's no extra money for a holiday this year. So Jess finds a way to see the most amazing snow of all. Jacaranda Snow is about one family that lives with less money but plenty of love and optimism. Catherine Greer is a Canadian-Australian author of picture books and young adult novels. She holds a BA Honours and a Master’s degree in Literature. In 2005, she collaborated on the award-winning positive psychology nonfiction book, Choosing Happiness. Catherine writes a weekly Happiness Blog that’s well-loved by readers around the world and has her own copywriting business in Sydney. 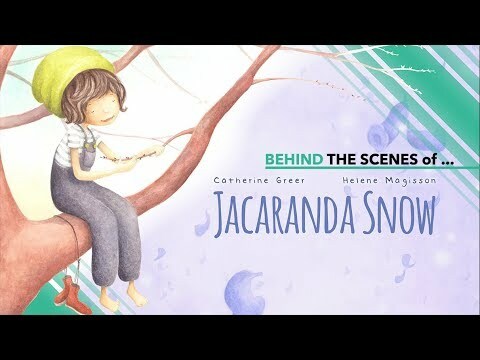 Jacaranda Snow is her first picture book. Catherine loves kitchen dancing, her shih tzu puppy, talking with (& writing about) teenagers (including her own two sons! ), taking awesome pictures, the power of optimism and Australia’s white sand beaches. A wonderful story that shows children how to make the most of difficult circumstances. In this story a loving relationship, a positive attitude, a determined child, and creative thinking combine to make good things happen. Wonderfully written and beautifuly illustrated. I am a retired primary teacher. I found this book to be inspirational and a lovely book for the classroom. I also am excited to share this book with my grandchildren. The author has written a timeless classic for children, it's a great present and something all children should have on their bookshelf to enjoy time and time again. This is such a beautiful book. I enjoyed reading it to my children, and I plan to give copies to my young niece and nephews at Christmas. The story about a little girl who finds a way to make her dream come true, is optimistic and uplifting. Books that convey such warmth are rare. 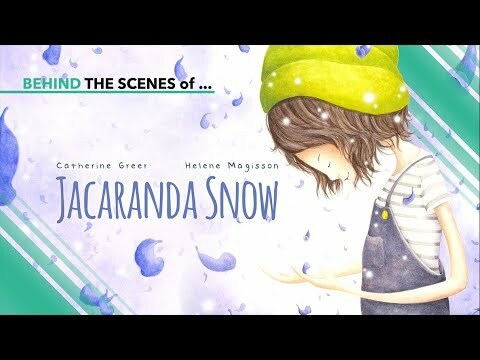 Jacaranda Snow would make a lovely gift for the children in your life. When you read it aloud to them, you may find that it earns a special place in your heart too.